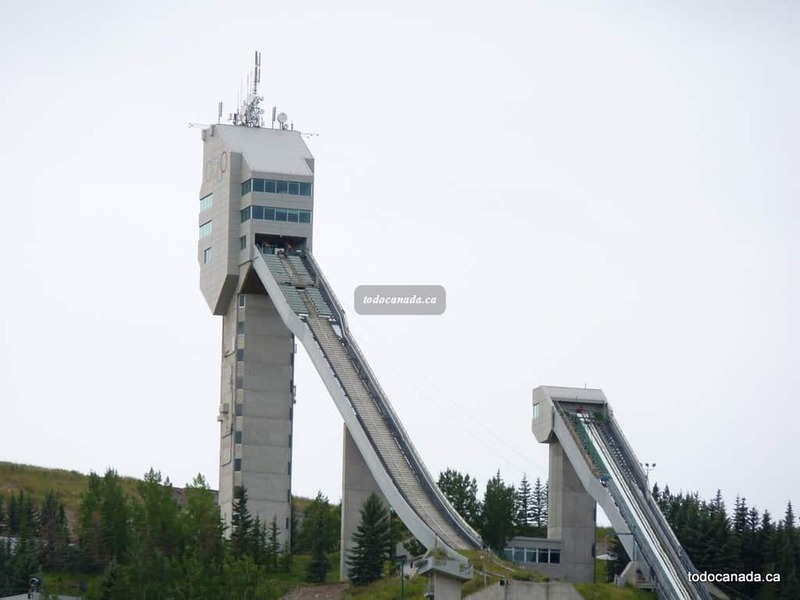 Venue of some of the spectacular winter sports events of 1988 Olympics, Canada Olympic Park (COP) offers many of the similar experiences to tourists. Formerly known as Paskapoo Ski Hill, the park is operated by WinSport Canada. It is currently used both for high performance athletic training, winter sports venue and for recreational purposes by the general public. 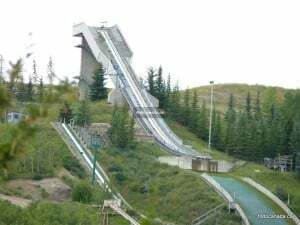 What to do at Canada Olympic Park? Have fun outdoors what ever the season! It is a super thrill destination for adventure seekers. In winter, want to ski, snow board or bobsleigh right in the middle of the city? This is the place to go. The hill is divided into three sections, the downhill racing section, the casual section and the terrain park. It is a great visit in the winter. Visit Acura Tube Park during winter, the largest of its kind in Western Canada! Calgary’s only tube park features 10 lanes, each 200 metres in length. The park is located on the main hill which allows tubers to take advantage of the washrooms, eateries, retail store and other amenities located in the Frank King Day Lodge. In summer, the activities include Mountain Biking, Zipline at the Park, Summer Bobsleigh Rides, Mini Golf, Mountain biking, Challenge Course. The park is also home to the Sports Hall of Fame and Museum. Skyline Luge: Enjoy the thrills of going downhill on a 1.8 km long track on a wheeled ride. COP also holds summer/winter camps for children and a number of other programs. COP is the venue many sports events. How to get to Canada Olympic Park ? 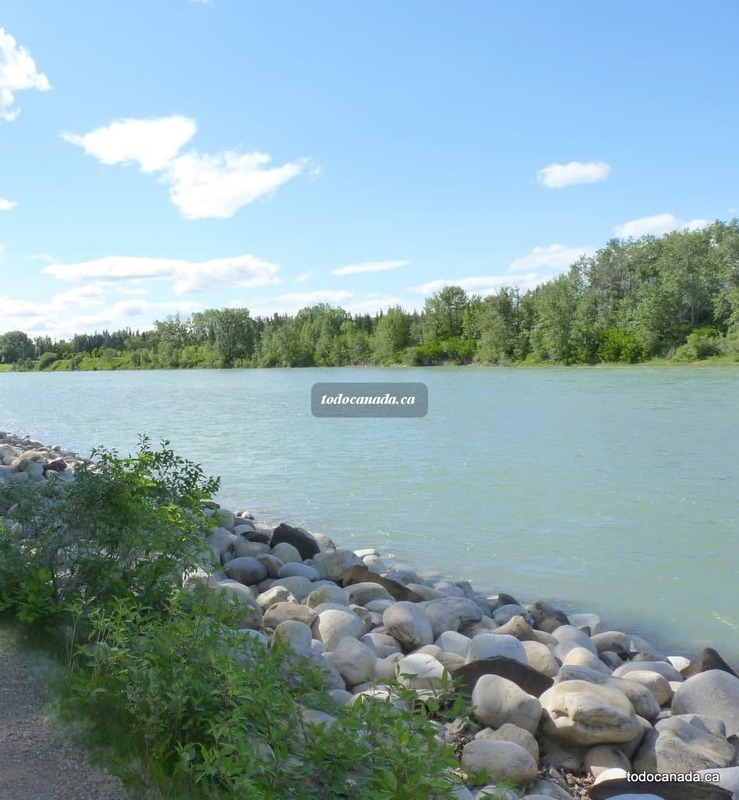 The park is located in western Calgary, south of the Trans-Canada Highway, north of the community of Cougar Ridge and west of Bowness park. Click on the map tab for directions. Time Required to Visit Canada Olympic Park – Depends on activity, a minimum of one hour. Who all will enjoy the visit? Activities – restriction based on particular activity. Skyline luge: 6yrs and 110cm or taller to ride Luge alone, Children under 6 years can ride in tandem with an adult aged 20+ years. How much to see the Canada Olympic Park? Fees per activity. Admission is free. Canada olympic park activity fees is listed under each activity in the park website. Coupons : calgaryattractions.com has coupons for select activities at COP and Canada’s Sports Hall of Fame. Calgary Co-op sells ski & ride tickets for $49.00+gst with first day free. Cash amex,visa, debit card, interac acceped. When to visit Canada Olympic Park? It varies year round. Check for inclement weather. November 28 – December 16 10:00 a.m. – 9:00 p.m.
December 19 – December 30 9:00 a.m. – 5:00 p.m.
January – Closing: 10:00 a.m. – 9:00 p.m.
Open 7 days in Summer (July, August): 10:00 AM – 09:00 PM; Reduced hours & Days during Late spring and early fall. What about Amenities, Access & Parking at COP? 1220 9 Avenue Southwest Calgary, AB T3C 0H9.